Now is the time to update your conservatory with products from the new 2011 lines from quality manufacturers MGM and Ocean. 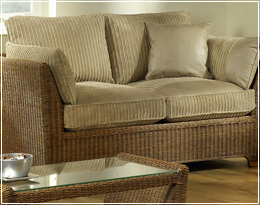 You can have a stylish and comfortable conservatory to relax in with the right conservatory furniture. The stunning new ranges from MGM offer you top quality furniture that is crafted from the finest, natural rattan and will last you for years. Now is the best time to buy because MGM have some fantastic offers on their stylish and durable Chester suite. At the end of a hard day there is nothing better than being able to relax with a drink and sit back on comfortable cushions to enjoy what your conservatory has to offer. 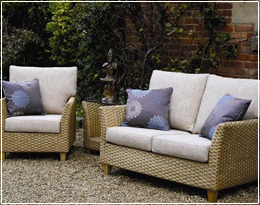 The Chester two seater sofa and armchair have comfy, Bronson cushions that will add a touch of luxury to any conservatory. The Chester suite is comprised of a sofa, chair, coffee table, side table and footstool, so you can put your feet up while you enjoy your drink. The contemporary lines and natural beauty of the Chester suite make it the perfect finishing touch for any conservatory. If you purchase the suite now you will get ten percent of the recommended manufacturers retail price and either the coffee table, side table or footstool free. You will love Ocean’s new spring line for 2011, the Luzon suite, designed to add that extra touch of luxury to any conservatory. Ideal for the smaller conservatory the stylish, yet compact design of the Luzon is designed to maximise the use of your space. The emphasis is on quality and durability and the Luzon sofa and chair have high backs for extra comfort Crafted from an attractive woven rattan in natural wash and walnut, the Luzon is built to last. The suite consists of a two seater sofa and armchair with thick cushions along with a coffee table and side table When you purchase the complete suite Ocean are offering free delivery to all UK mainland destinations, what are you waiting for?